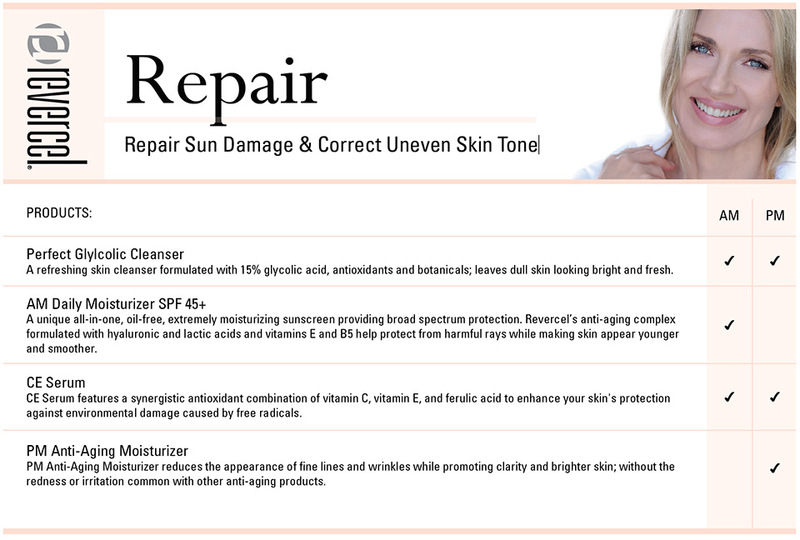 Repair sun damage and correct uneven skin tone with Revercel's dual-approach daily regimen that both prevents and corrects the effects of exposure to the sun. Repair sun damage and correct uneven skin tone with Revercel's dual-approach daily regimen that both prevents and corrects the effects of exposure to the sun. Developed by Silicon Valley's most innovative skin care experts, these advanced formulas are designed to reverse photo-aging at the cellular level and prevent future photo-damage. A refreshing skin cleanser formulated with 15% glycolic acid, antioxidants and botanicals; leaves dull skin looking bright and fresh. A unique all-in-one, oil-free, extremely moisturizing sunscreen providing broad spectrum protection. Revercel’s anti-aging complex formulated with hyaluronic and lactic acids and vitamins E and B5 help protect from harmful rays while making skin appear younger and smoother. 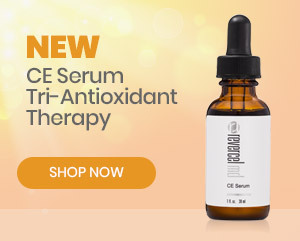 CE Serum features a synergistic antioxidant combination of vitamin C, vitamin E, and ferulic acid to enhance your skin's protection against environmental damage caused by free radicals. PM Anti-Aging Moisturizer reduces the appearance of fine lines and wrinkles while promoting clarity and brighter skin; without the redness or irritation common with other anti-aging products.